Interest Rates have been behaving in an unsteady manner. Lately they have been going up and down in a quite frequent manner leaving consumers and investors scratching their heads. One of the bigger questions that you face when buying a property is; how much is it going to cost you? Should you wait and gamble for interest rates to go lower, or grab that property now that just is calling your name? Getting centered on an overall financial budget is your first step to empowering you to a purchase without regret. The second step is to get pre-approved so that you know you will get financed rather than looking at things you can’t purchase. The third step is to start looking, South Boston has a ton of great properties, but in certain times and areas, prices may seem high or inventory lacking. That’s where your local South Boston real estate agent found on this site comes and helps you! If you prefer to do some pre-game warm up work on figuring out rates and a cost budget by yourself, feel free to use the South Boston Pads Mortgage Calculator listed below. Start examining what monthly mortgage payments would look like for properties in South Boston. You don’t have to get pre-approved right away but it certainly helps to be prepared. You can come back to the mortgage calculator over and over and also check out charts to see short and long term trending rates of mortgages. Ask around, different banks and vendors have different financing packages. Enjoy the use of the Mortgage Calculator below to learn what your budget will get you! 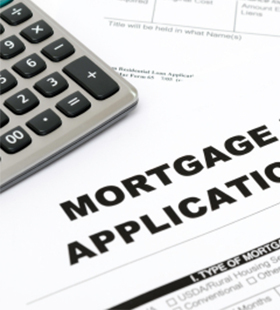 Use the Mortgage Calculator below to learn your payment rate today!